MT. JULIET, Tenn. -- A Tennessee man has been arrested after home surveillance video shows him kicking and hitting his 6-year-old son. Nia Snow said Sunday was just another day for the family. Her three children were playing outside, but then things took a turn. Snow said Damian's father, Randy Dickens, started spanking their young son for his bad behavior in school. The punishment seemed innocent at first but then Snow said the punishment became too severe. "All of a sudden, his whole body just started going into it," Snow told WZTV. "He was drooling out of his mouth, he was putting so much effort into it, that's how bad it was." Video from a camera on the front porch shows her ex-husband striking the little boy with an open hand multiple times before kicking him in the stomach. The man then shoved his child to the ground. The 6-year-old tried to run away and hid in his room but Dickens allegedly followed the boy and kicked him again. That's when Snow said she secretly called police, fearing that he would attack her too. She said she then told him to leave the house to buy groceries so she could show deputies video proof before it got destroyed. "I tried to do things the right way," Snow said. "I did what the police told me to do, and I didn't want nobody getting shot, and I knew that's what would've happened, so I tried to be smart." The man was arrested and charged with child abuse and neglect; however, he has since bonded out of jail. Snow said this isn't the first time the child has been beaten. Damien suffered 18 fractured bones when he was just 2 months old. That man is still behind bars, Snow said. 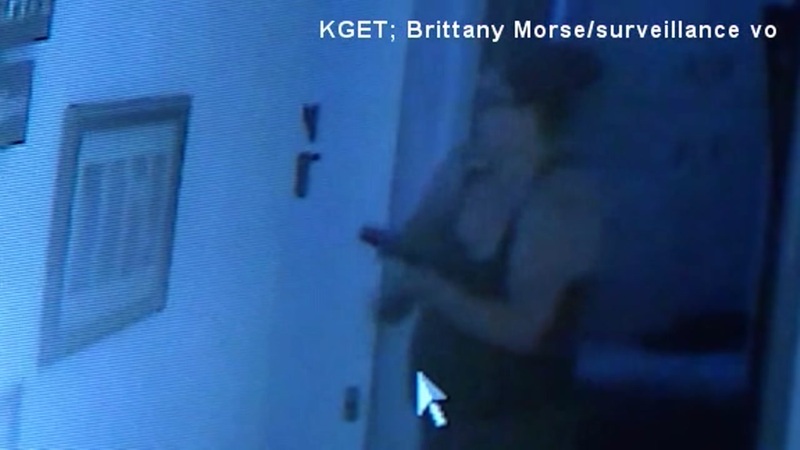 A California mother is being applauded for her quick thinking after she held a burglar at gunpoint in her home until police could arrive.